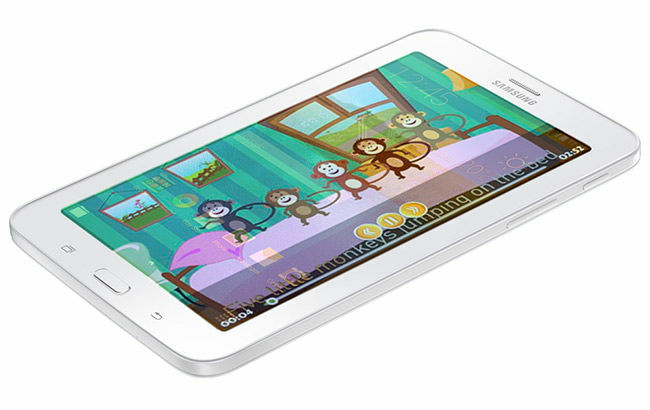 ConveGenius launches their latest education oriented tablet, ‘CG Slate Plus’ in collaboration with Samsung. To be exclusively available on Flipkart for Rs. 15,999. 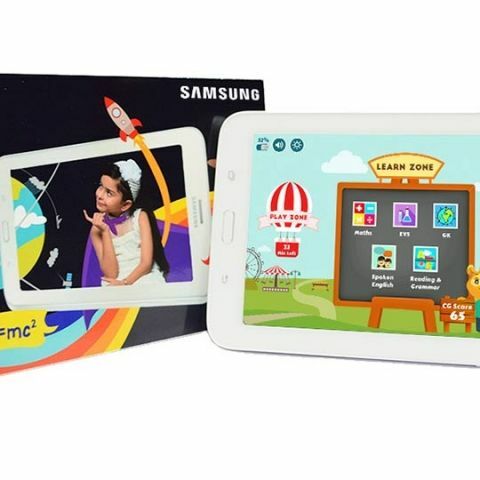 Following the success of their previous educational offering, the Lenovo CG Slate tablet for grade K-5, Indian Ed-tech startup, ConveGenius launched the successor, ‘CG Slate Plus’ tablet for grade K-2 in partnership with Samsung. 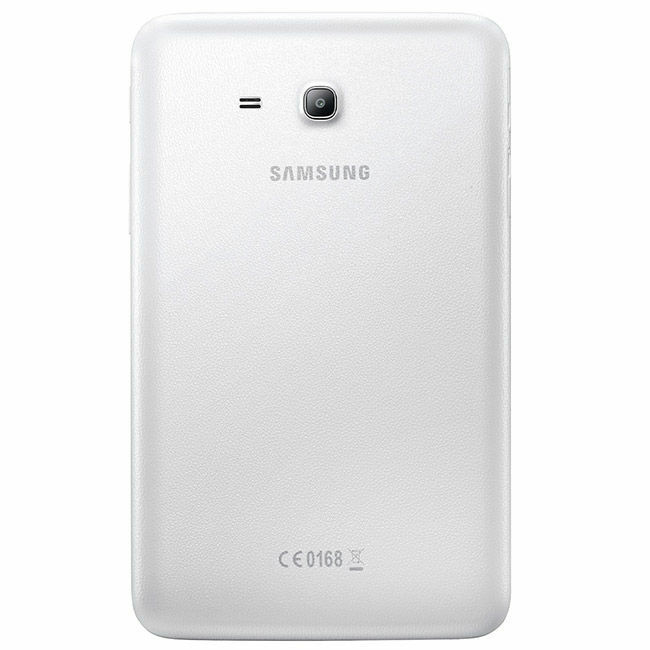 The 7-inch Samsung tablet is powered by a 1.3 GHz quad-core Spreadtrum processor and sports 1 GB of RAM running Android 4.4 Kitkat with a ‘gamified’ software running on top. The CS Slate Plus will only be available on Flipkart for a price of Rs.15,999. Like the previous tablet, the approach behind the CG Slate Plus is to help children learn important concepts through videos, interactive books, stories and worksheets. The CG Slate Plus features an edutainment (Education and Entertainment) solution, that teaches educational concepts to children with the help of interactive videos, books, quizzes and other worksheets, where they are rewarded based on how they perform. Basically, the child gets access to three different zones - Learn Zone, Play Zone and Shop Zone. In the Learn Zone, the child gets to learn various subjects mapped to the NCERT syllabus where they can earn points or coins based on their performance. These points can then be used to gain playtime in the Play Zone. And the coins can be redeemed in the Shop Zone for different cashback offers on their favourite toys which the parents can buy for them later. This reward-based learning system which ConveGenius calls ‘Learn-Play-Shop’ is reportedly aimed to excite young ones to practise self-learning and motivates them to try harder. Titu, the intelligent companion is here again and ever ready to adaptively recommend educational content to the child based on his/her learning requirement. “It gives me immense pleasure to say that Titu, our intelligent mascot featured in CG Slate, has been accepted as the best mentor kids can ever have. While keeping regular school curriculum in perspective, CG Slate has greatly amplified the learning curve of children. To offer a more evolved and enhanced version of the device, we are going to roll out the new and improved CG Slate on Samsung Tablets. The technological features of our offering combined with reliability of Samsung hardware will ensure a high-value product for our customers.” said Mr Jairaj Bhattacharya, MD, ConveGenius Group at the announcement. The new ConveGenius CG Slate Plus tablet is exclusively available on Flipkart for 15,999 INR and provides an ideal learning experience for children.